Set up on the tower went without any problems. The azimuth was set at 26,5° and with an elevation of 84º. Weather was fair and around 13° Celcius. The whole morning it was raining with every now an then some dry periods. 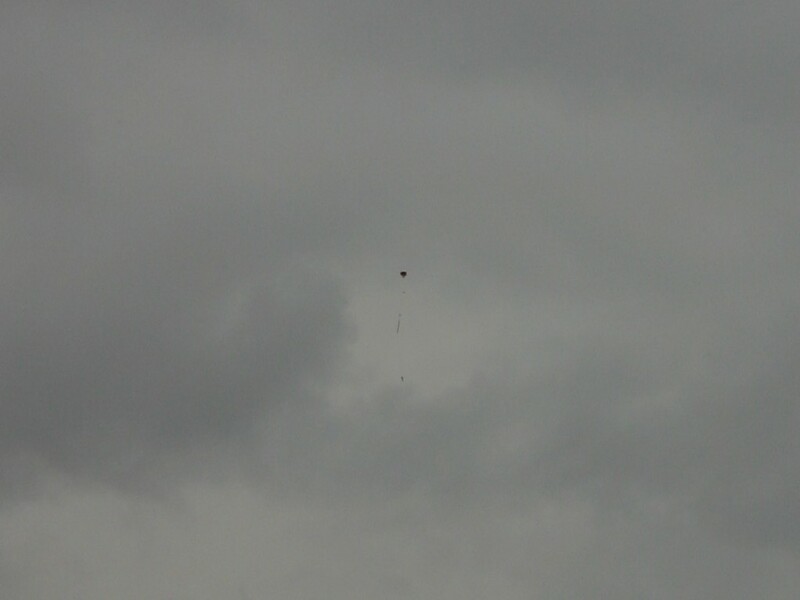 They was little wind although it pick up a bit during the rain. 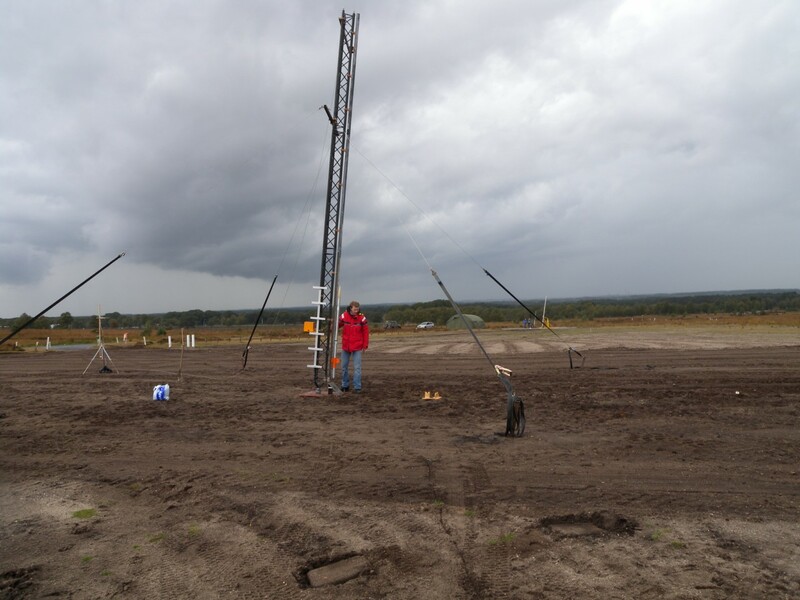 We missed a small window of blue sky because prepping the rocket in the field took a bit longer then expected. Luckily the KaDi-car stopped by frequently and was serving hot coffee & sandwiches. 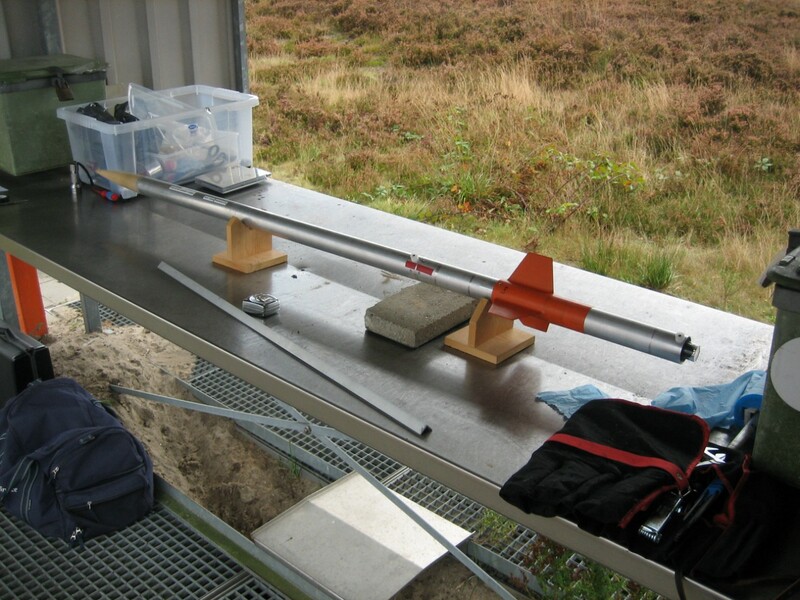 Around 12:00 rocket prep was finshed. 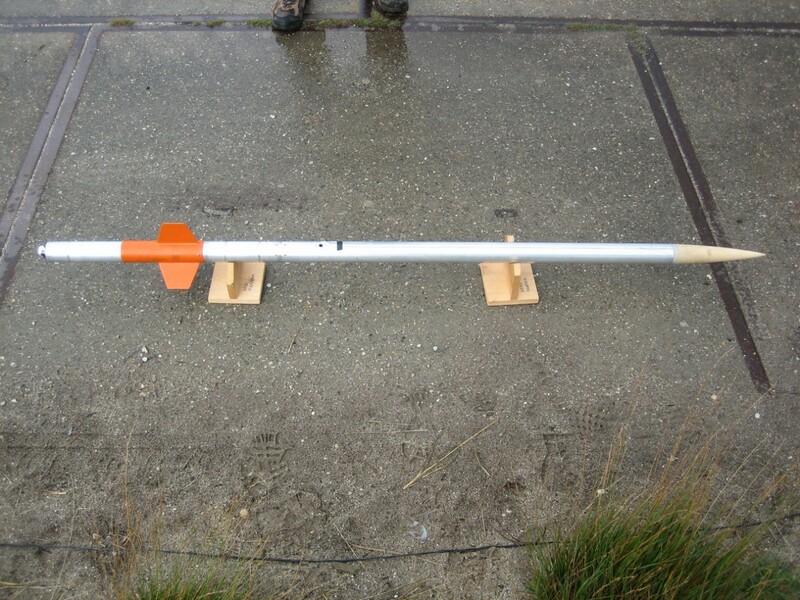 The igniter was inserted into the motor and the DECA rocket was launched after a 10s count down. 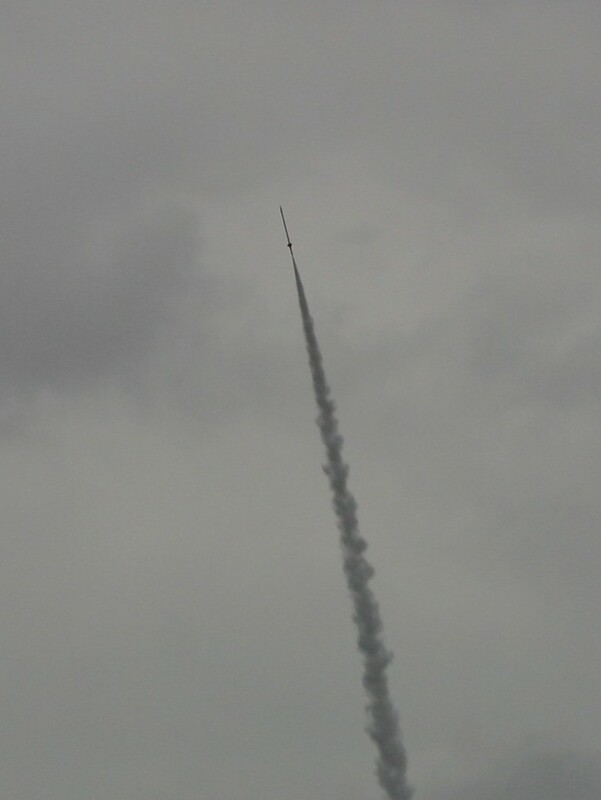 The engine start up took longer than expected but the rocket left the launch rail straight and fast. After the apogee “pop” it came down as designed. 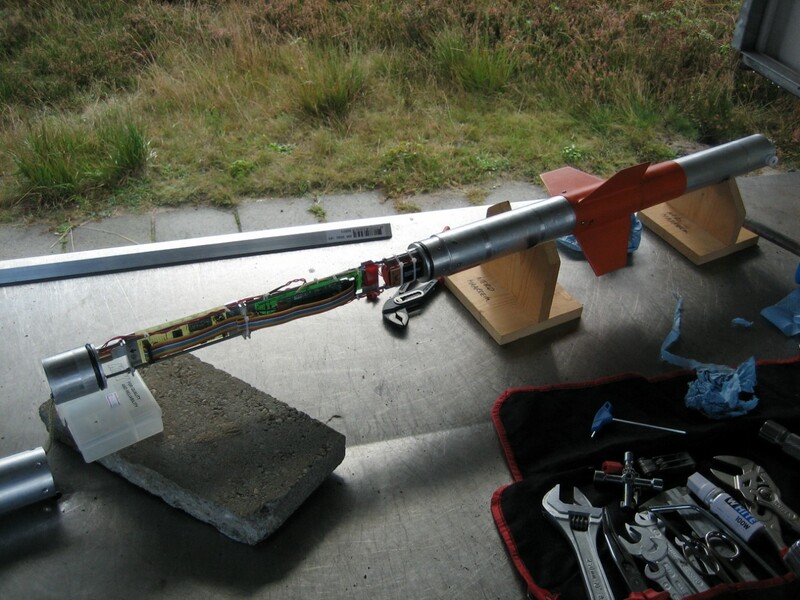 The rocket was seperated at the motor coupler and was connected to the rest of the rocket with 5m tubular kevlar and a swivel in between. The drogueless / tumble recovery design worked perfectly reducing the horizontal velocity (which has plagued us so many times in the past) to an absolute minimum. At 300m the nose cone popped off and the main chute deployed immediately. 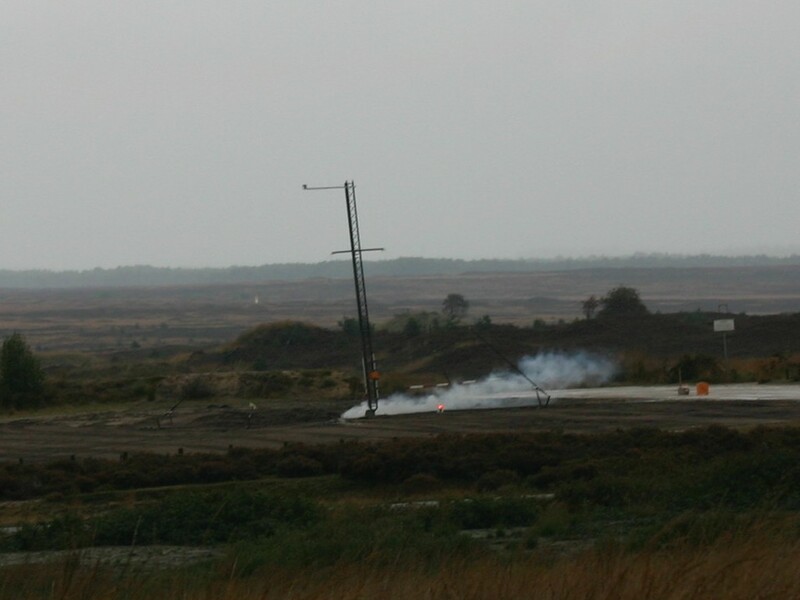 The rocket landed within 300m of the launch rail and was recovery without a scratch. Filmed by OB. In the heat of battle I forgot my camera down where the rocket was. The pops which can be heared on the back ground are rain drops falling on a umbrella. There is approximately 1sec time difference between lift off and the sound reaching the camera due to the fact that the rocket is approximately 300m away. The RDAS Tiny beepd out the apogee at 1031m which was less than expected. We had estimated the Cd a bit to optimistic and did not take into account the skin drag of the long and slender rocket. In hind sight Aerolab simulated an average Cd of 0,75 which was confirmed by the flight analysis of BO. 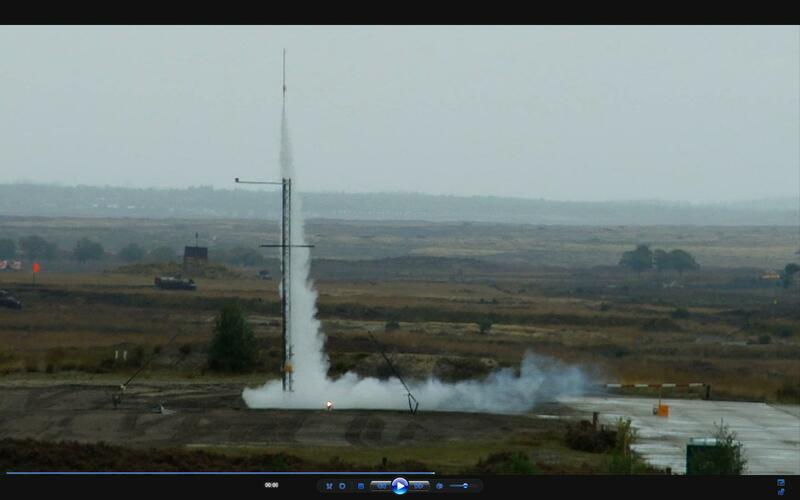 Although the DECA / H14a was the only rocket which was launched by the NERO, it was a complete succes. 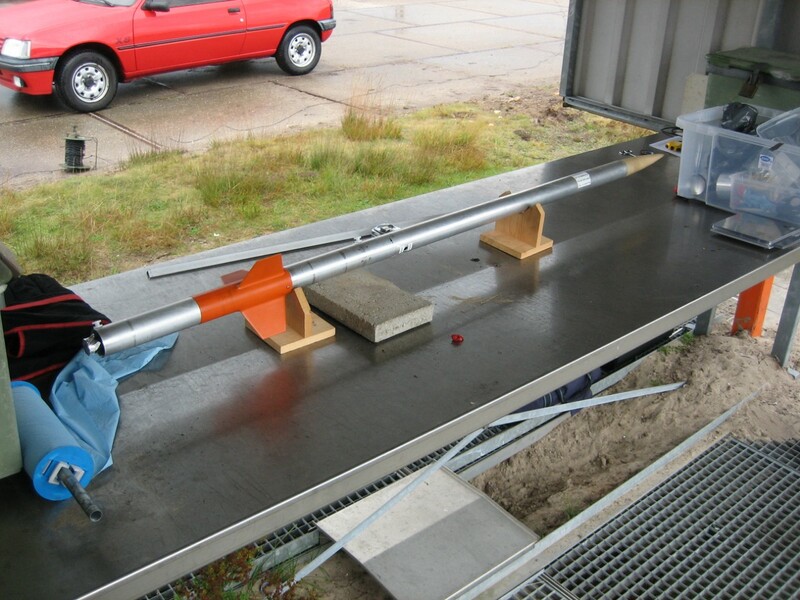 See will be launched again next year maybe as a two stage rocket serving as the sustainer. 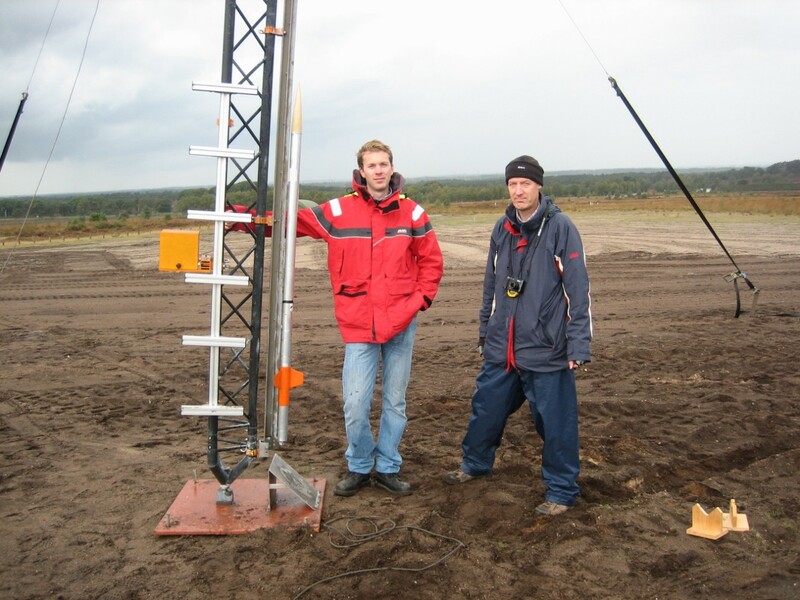 The launch day was combined with the NAVRO which preformed a motor test and some launches. Definiately looking forward to 2010 again. It is a good feeling driving home with a safely recovered rocket rather than picking up the pieces and start all over again.